I bought a new washer and dryer. They are front loaders, which I have never had, but they make my laundry room look like a fancy laundromat, without the rolling carts. They are white and shiny, and they even play a little song when a load is finished. Stainless steel drums. It’s all very civilized and the place where I put the detergent isn’t rusted or yucky. They are fantastic, but I’m not sure what I’m doing anymore. I’m in one of those moods where while I’m brushing my teething in the morning, I’m wondering how many tubes of toothpaste I’ll go through in my lifetime. My lifetime, what does that even mean? How is it possible to find significance in one lifetime? I follow this magnificent photographer on Instagram. His name is Paul Nicklen and he works for National Geographic. He’s all about blending and capturing animals in their world. He took the picture. I love this bear. I want to go see him, spend time in his energy. I’ll be very quiet, but I want to learn from him. He’s smarter than I am and I want to learn. I want to be somewhere I don’t have to think about my “lifetime.” In a space that sees me as exactly what I am, one of many. I want to be a bear. Splash around in the water, find strength in my size, roll in the grass, breathe deep. I’m tired of thinking. Tired of wondering, planning, un-planning, worrying. I just want to scratch my back on a tree, catch a fresh fish with my own paw. None of this life crap is coming with me, including my singing washer and dryer. I no longer care if the upholstery in my car has a hole in it, or if I have a big beautiful house. I want peace. I want to let my fur dry in the early morning sun. That’s how I want to finish this journey, not counting toothpaste tubes. My thoughts from the laundry room. Hibernate. Never had a front loader, the older ones were notorious for dribbling. I have one of those low water level machines now which I do like, but it does a very nice job of keeping me away from the clothes…everything locks, no beeps but a LOT of clicking and whooshing. That would be great, we think too much, we even have arguments with people we love about really ridicule things, like why someone’s didn’t take out the clothes that are already washed, etc. Why should we do that? Life shouldn’t be about this stuff… Cheers! Another thought: I love the kid’s movie BROTHER BEAR. 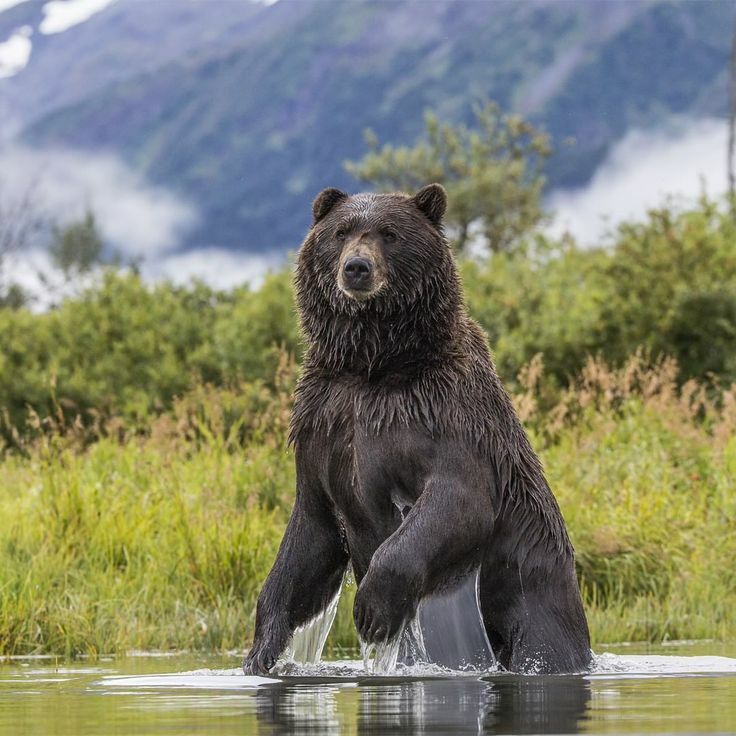 Without even knowing it, or maybe completly knowing what you did , you posted a picture of the washer and dryer you really want, you know when you become the bear. Your washer: the river. Your dryer: The sun. 1968: 3-day fast & considerable peyote reveals my Spirit Animal: the Bear. not even surprised, mr. L. I think mine is the porcupine, wh would rather leave than fight, and spend his days in the trees, eating. eating. eating. Amen, sister. I’d love to join you. Isn’t it spiritual, Mother Nature? I am part city girl but as I get older, I yearn to morph into a creatures skin & just breath.